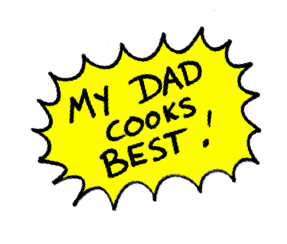 MY DAD COOKS BEST is a prize-winning, family entertainment format that turns Dads into kitchen heros – with a lot of help from their sons and daughters. In every show, our arrogant presenter Chef visits a family home to challenge competent Dads to a Cook-Off “show-down”. But the loyal kids will be helping their Dads! Only Mums can decide the winner in a blind tasting.